PeopleBookHR is a comprehensive human resource (HR) system that integrates basic and advanced capabilities, including enterprise information management (EIM), biometrics, performance management, disciplinary tracking, and payroll into a single unified solution. It automates essential HR processes, resulting in streamlined functions, increased productivity and output and significant reduction of human error. With PeopleBookHR, companies and organizations are able to fully optimize their human captial and implement multi-level authentication to keep all personal and financial data safe and secure. The software maximizes your human resources and boosts productivity so that tasks are done and accomplished in time while ensuring that your payroll is accurate. PeopleBookHR covers all your HR bases as you drive your business to success. Managing employees entail a plethora of issues and problems. Many HR departments that rely and implement traditional HR management methods encounter an endless stream of problems, including lack of employee visibility, misuse of resources, inaccurate payroll calculations, and error-prone attendance spreadsheets to mention a few. PeopleBookHR aims to change all that and revolutionize the way companies and organizations do HR management. PeopleBookHR automates essential areas of HR management, including attendance, document management, payroll, holidays and sick leaves, performance management, roster management, resource allocation, and more. The software can be tailored to fit specific needs and business requirements but doesn’t break the bank. By incorporating core capabilities into a single, centralized HR solution, HR managers and their staff are able to streamline their tasks and perform their functions with ease and speed. Managing employee information is a breeze, especially with advanced biometrics capabilities that capture more accurate and reliable time and attendance data. HR managers can generate performance reports per employee to see how they are doing as well as identify their strengths and issues so they can address them quickly. PeopleBookHR also makes it easy to assign specific goals to individual employees based on their competencies, schedule, and more. Payroll is an integral function of the HR department and requires accuracy to ensure precise and timely payment flow for employees. PeopleBookHR is designed to simplify and automate the whole payroll process without compromising accuracy. What Problems Will PeopleBookHR Solve? Scenario 1: An employee moves and needs to change their personal information. Through employee self service the employee will be able to change this information by themselves. Scenario 2: A sudden rise in the number of employees, how will all the information be recorded and stored? Through Employee Information Management, all important information can be archived and accessed when needed. Scenario 3: Bonuses and deductions need to be included in a person’s salary. Through the payroll management feature all these external adjustments can be incorporated and the resultant salary can be easily found. A record will also be produced and stored. If you are interested in PeopleBookHR it might also be sensible to analyze other subcategories of Best HR Software gathered in our base of SaaS software reviews. Each company has different requirements and requires an application that can be customized for their size, kind of workers and customers, and the specific industry they are in. For these reasons, no software can proffer perfect tools off-the-shelf. When you try to find a software product, first be sure what you want it for. Read some PeopleBookHR reviews and ask yourself do you want basic tools or do you need complex tools? Are there any industry-specific features that you are searching for? Obtain the answers to these queries to assist your search. There are multiple factors that you need to reflect on and these include your finances, particular business needs, your company size, integration requirements etc. Take your time, check out a few free trials, and finally zero in on the app that offers all that you want to boost your company effectiveness and productivity. How Much Does PeopleBookHR Cost? Contact PeopleBookHR for enterprise pricing information and other product details. You can also submit a request for a free demo to see if the software is a perfect fit for your business. We realize that when you make a decision to buy HR Software it’s important not only to see how experts evaluate it in their reviews, but also to find out if the real people and companies that buy it are actually satisfied with the product. That’s why we’ve created our behavior-based Customer Satisfaction Algorithm™ that gathers customer reviews, comments and PeopleBookHR reviews across a wide range of social media sites. The data is then presented in an easy to digest form showing how many people had positive and negative experience with PeopleBookHR. With that information at hand you should be equipped to make an informed buying decision that you won’t regret. What are PeopleBookHR pricing details? What integrations are available for PeopleBookHR? 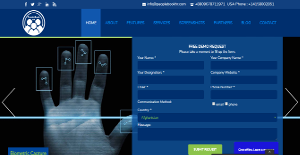 PeopleBookHR integrates with Microsoft office and a few Google applications. It can also be integrated with existing HR software. If you need more information about PeopleBookHR or you simply have a question let us know what you need and we’ll forward your request directly to the vendor.